Start your review of Paul Meshkat. Send a message to Paul Meshkat. Thank You! 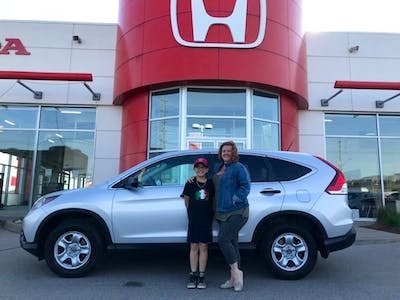 Your message has been sent to Paul Meshkat at Whitby Oshawa Honda. "not a great experience "
My Experience with Paul was very disappointing and awful. I tried to lease Civic a week ago first of all he never returned my phone call second of all as a credit analyst either he does not know his job or he does not care for the people if your application and credit history is not great . I think as credit or financial analyst he does evaluate records properly. Now that my credit report was submitted with Honda I have no chance to go to any other Honda and shop around for better interest deal because already my application was declined by Honda for leasing a car with prime interest rate which is %0.99. I would like to thank Paul M the finance guy for all his hard work in getting me into my new ride. 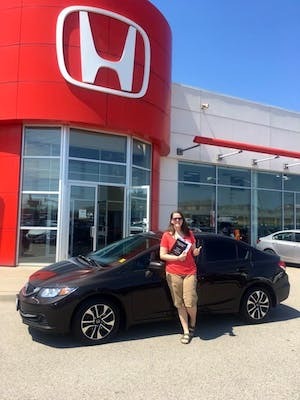 This is my third car here at Whitby Oshawa Honda and it’s all because the great sales guy Peter V I highly recommend him, you won’t be disappointed. "Great dealership with amazing people"
Took my 13 Dodge ram in to trade in. Talked to Peter in regards to a new civic SI. Peter ended up changing my outlook on dealerships as Peter went above and beyond to find what i was looking for. Peter ended up finding the perfect car for me. Kyle Thomas and Paul Meshkat went through every detail of the deal to clarify any concerns. Once approved, i was informed right away. Overall the experience i had at Whitby Oshawa Honda is like none I've ever had before and i will ne recommending everyone to go there. 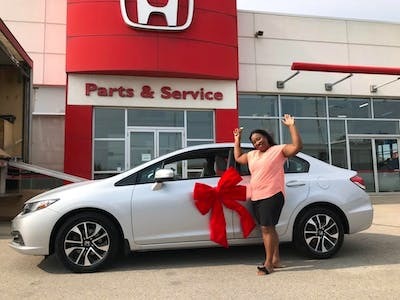 I can't help but channel my inner Tina Turner when talking about Peter and the team at Whitby Oshawa Honda. Peter helped me find the perfect new (to me) car and we can't thank him enough. We could have bought in Cambridge, but the service and price was worth the drive. Thanks again!!! I would like to thank Triston Rose (who directed me to Peter), Peter, Paul and Sammie. What a fantastic team. Was very supportive and answered all questions clearly and concisely. Peter kept my vision in mind when helping me find a car. So so happy and I will be sending people to Whitby oshawa Honda to see my team! Thank you all!